Wondering where to get started with salon marketing? We found a few salon sales statistics (say that five times fast) to fuel your marketing strategy! Check out the stats and use our tips to build a better marketing strategy for your salon. 1. Seasonal promotions and discounts can improve product sales by 15 percent. Ulta has increased retail salon product sales by 15 percent, mainly using seasonal promotions and discounts. Looking to increase your product sales? You probably recommend products after services, but do you do seasonal promotions or discounts? If not, it may be time to give it a try. That’s how Ulta has been able to increase sales. Not everyone can afford to send out 20 percent off coupons seemingly monthly, but you might consider special seasonal sales or promotions. My salon does seasonal gift bundles and pedicures (pumpkin spice for November and peppermint for December—that sort of thing) and those also sell well. Tack on a slight discount if someone buys the entire bundle and you’re sure to drive more sales. Don’t forget about seasonal gift card sales and specials for Valentine’s Day or all those fall/winter holidays. And, if you're promoting something seasonally, don't forget to advertise it online! Create ads for your seasonal pedicure with a landing page that allows the client to book a service to bring in more clients. 2. Total salon services and retail sales added up to $62 billion in 2016. Not that you don’t already know, but the salon industry is kind of huge—and it keeps growing! That $62 billion is a 3 percent increase from 2015. Capitalize on this by using digital marketing to drive sales. Here are a few tips to get you started. And don’t forget to allow clients to book services online. Consumers are lazy, and we often don’t want to call to schedule an appointment. Make sure your website allows clients to book anything from a spa pedicure to a hair color consultation online—and make it easy! 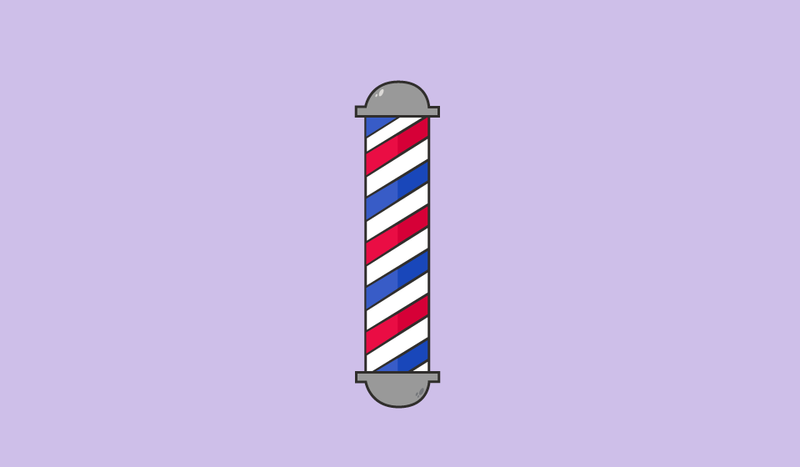 No one wants to jump through hoops to book a haircut. Make sure you’re active on social media as well. One of the first things people will do when looking for a new salon is look for photos of your work on Facebook and Instagram, so update your social pages and profiles often. 3. Your best target market may be households with children since they spend 34 to 38 percent more than average. Keep this target market in mind when creating any marketing messages. Speaking to your target market can be difficult, but it will help make sure you’re planning that messaging around what your ideal client actually needs. What can you do to help them solve these issues? How can you best serve your ideal customer? You could even consider doing special ads and landing pages for that audience. Think back-to-school promotions or ads that link to a landing page where the client could get a coupon for a discount if they bring in their family. Here's the source for this stat. 4. Households with the most women buy the most hair care products. Households that have more women spend more money on hair care products. Be sure to recommend that they buy the products you used to style their hair, and consider doing those seasonal promotions we mentioned before to drive sales. If you’re already a RevLocal client, talk to your strategist about implementing these tactics. If not, find a digital marketing consultant near you and schedule a free consultation!